High brightness LED inside. Lights up at dusk, turns off at dawn automatically.e Cool to the touch. Low maintenance cost, convenient to use and so on. It could be used in bedroom or other place which needs micro light. This LED sensor night light lights up by the brightness of light. 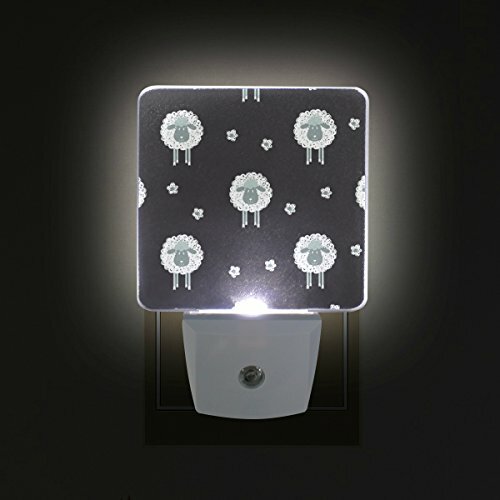 The photoconductive resistance inside the night light detect the external light. While the external circumstance be darkened, the photoconductive resistance control to turn on the circuit, then the night light start lighting. While the external circumstance brighten to the critical point of photoconductive resistance, the circuit cut-off automatically, then the night light turns off to save electricity. Risk of electric shock and fire hazard. This product is not a toy and is not intended for use by children. For adult use only. For safe use, plug only into exposed wall outlets where device is ventilated and cannot contact bed coverings or other material. Do not use with extension cords.